One of those months. I watched Chavela (Catherine Gund and Daresha Kyi, 2017) – a documentary about the life and travails of singer Chavela Vargas (who often features on the soundtracks of Almodóvar’s films) – on Filmin. I want to direct your attention to two online film festivals taking place during December: ArteKino and Márgenes. ArteKino is a Europe-wide initiative (it runs in 45 countries) to support contemporary European arthouse (their term) films by offering a wider audience the chance to view them (film distribution being what it is these days). 10 films – all with subtitles available in French, German, Spanish, and English – are free to view between 1st-17th December. You can see the full line-up here. 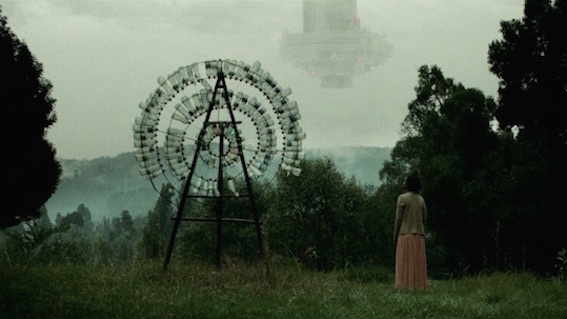 The selection includes Scarred Hearts (Radu Jude, 2016), one of the few films I’ve seen this year that I can wholeheartedly recommend – catch that one here. I’ve written about Festival Márgenes for the past few years (last year’s post is here) and will likely write another overview post at some point later in the month. The 7th Festival Márgenes will also make films free to view – in this case, films from the Iberian Peninsula (Spain and Portugal) and Ibero-America (Spanish and Portuguese-speaking Latin American countries), with an emphasis on documentaries and experimental formats. I think the online stage is either due to start tomorrow or on the 10th (it usually runs in the last three weeks of the year) but their website is currently down for maintenance The online stage runs 2nd-23rd December – the official selection can be found on this page. (which is loading for me, but I’ve had that window open in my browser for the past week to remind myself about it – so I’m not sure that it will load for other people just now). There is also an online retrospective of the films of Luis Ospina. I don’t know whether all of the films listed will be available online in all geographic locations (there are sometimes restrictions around certain titles) and I have no idea about the subtitle situation. I only ever manage to watch a couple of films in this festival each year, but always find something interesting and worth seeking out – this year I will be aiming to watch (based on what I’ve read about them previously) Expo Lío ’92 (María Cañas, 2017), Los mutantes (Gabriel Azorín, 2016), and 25 Cines/Seg (Luis Macías, 2017). If I have time, I will write an overview in a similar form to previous years – but if not, I still wanted to highlight the festival to anyone who appreciates experimental film-making.